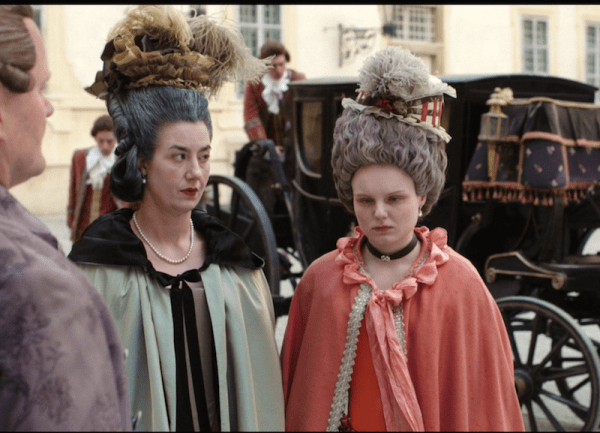 It’s an interesting film with some overall nice costumes, and it recently became available for streaming in the U.S. on Amazon. I definitely recommend it for an unusual storyline and the performance by lead actress Maria Dragus. 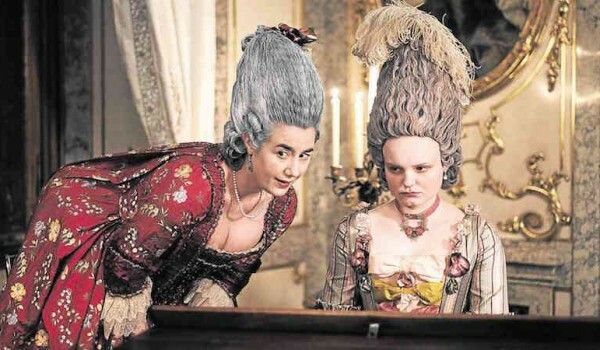 The costumes were designed by Veronika Albert, who has mostly done contemporary-set, German movies. 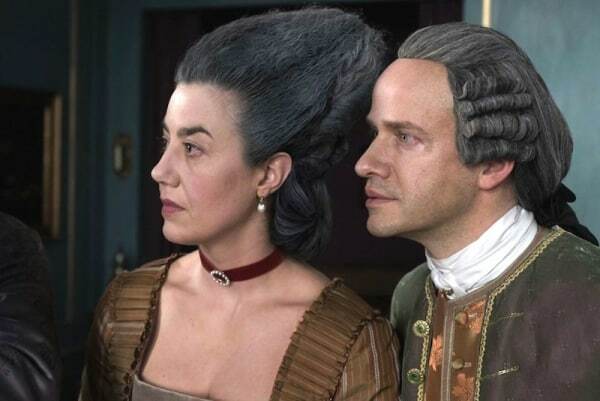 This film takes place in 1776-77, and Albert does a good job with getting the era right. 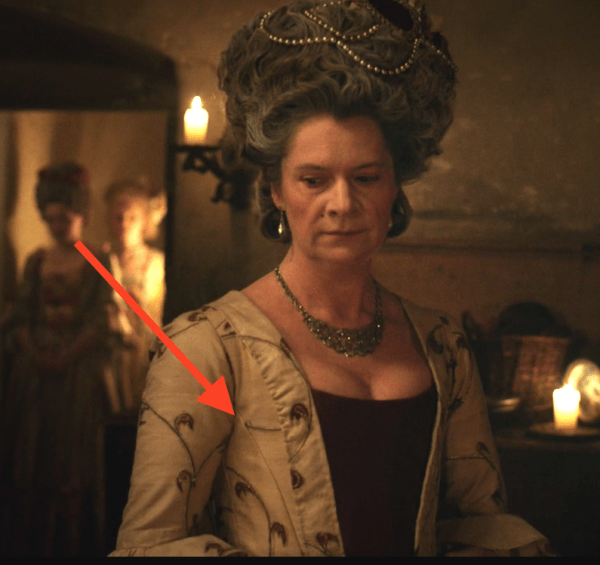 There’s a lot of robes à la française (sack-back gowns), a few gowns that are more anglaise in style, and she uses mostly appropriate fabrics with a few too many obviously machine-embroidered elements, but that seems par for the course these days. 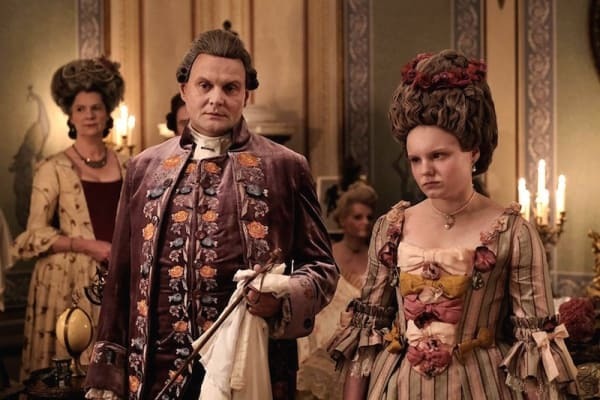 When she’s dressed by her mother, Paradis primarily wears heavy, clunky robes à la française, demonstrating how much she’s controlled by her well-meaning but bumbling parents. 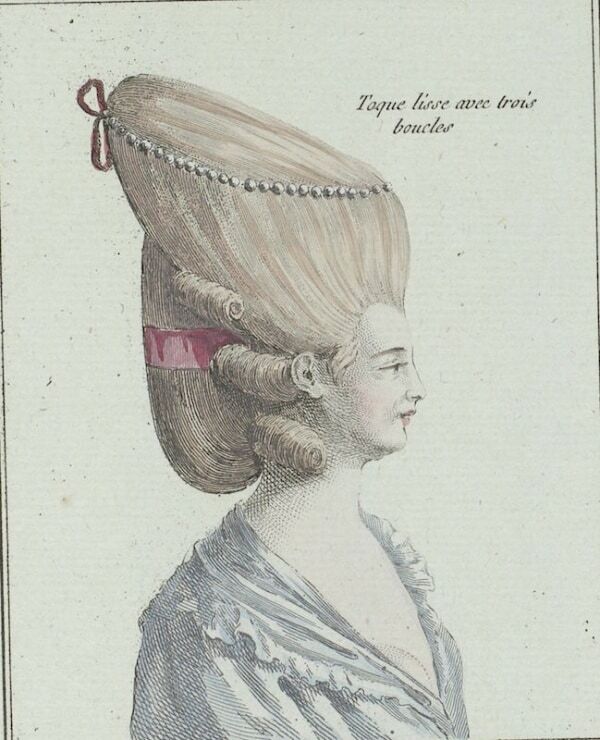 This stripey française with lots of stomacher bows is her main “fancy” dress. The trimming is a bit overwrought. Mesmer encourages Paradis to dress simply while she’s staying with him. 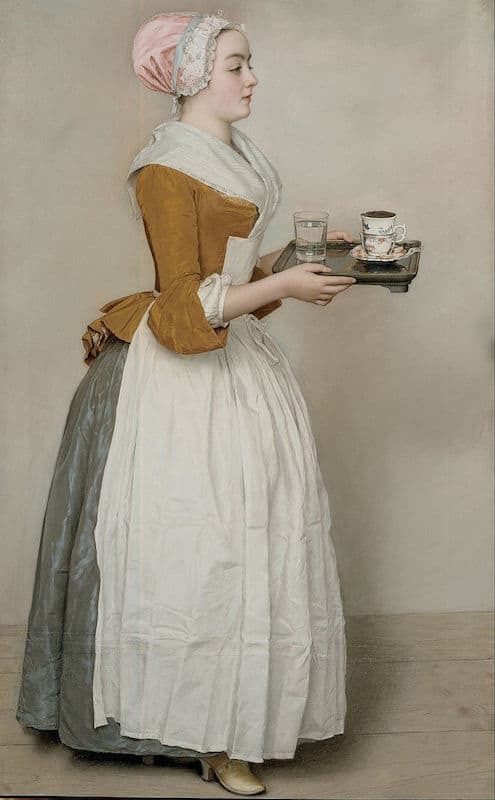 The servant outfit’s is very obviously influenced by Liotard’s The Chocolate Girl. 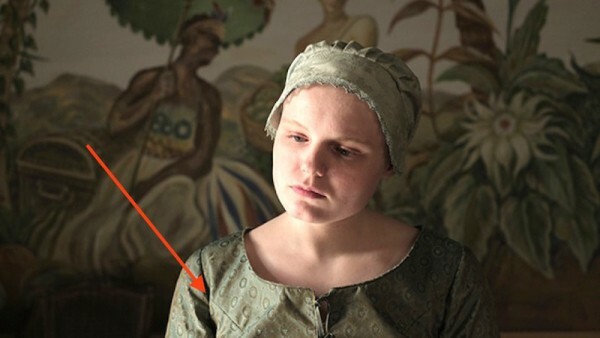 I like that she clearly isn’t wearing stays with this dress. But I question the princess seam on this jacket (and the paisley-esque fabric). Mesmer and his wife. His outfit was REALLY bright on screen, and that embroidery is so obviously machine made — and I question those flowers, which look almost Hawaiian to me! The rest of the cast looks mostly good. Although somebody winged the fit on the back of mom’s dress here. Aaaand inappropriate seams lurked where they shouldn’t. At the end of the film, the dress style changes to show the progression of time, which I liked. 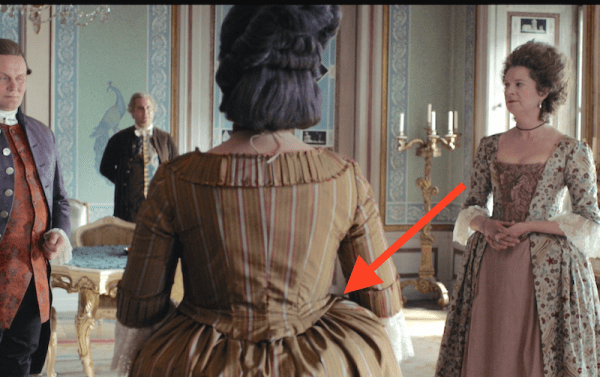 What I didn’t like was that this dress obviously has a back closure, although I laughed because they used hanging tales on that neck ribbon to hide whatever closure they had when they shot from the back! The hair was great. Paradis wears a clunky wig for public occasions, but again, the clunkiness works because 1) her mother is choosing things for her, and 2) she’s dressed up like a trick pony, and 3) her life is oppressive. Note dad’s wig on the right, though, with FABULOUS toupee (the rolled/high top). 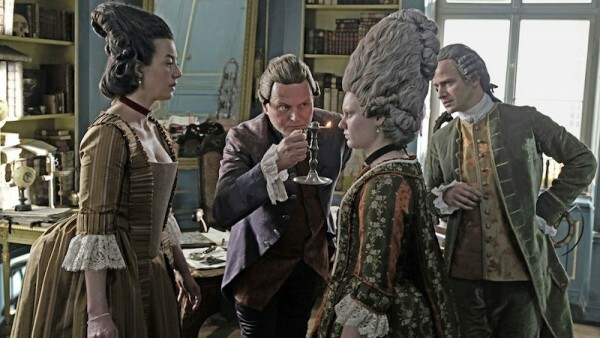 This guy on the left shows how nicely they did the back of the men’s wigs. 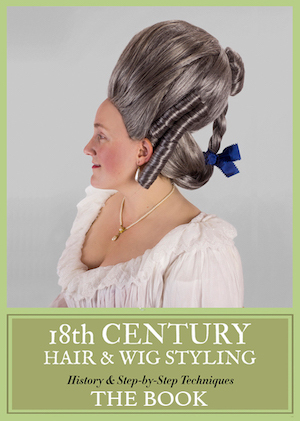 SOMEONE UNDERSTANDS THE BASIC SHORT/LONG THING IN 18TH C. MEN’S WIGS. I FEEL SO UNDERSTOOD! 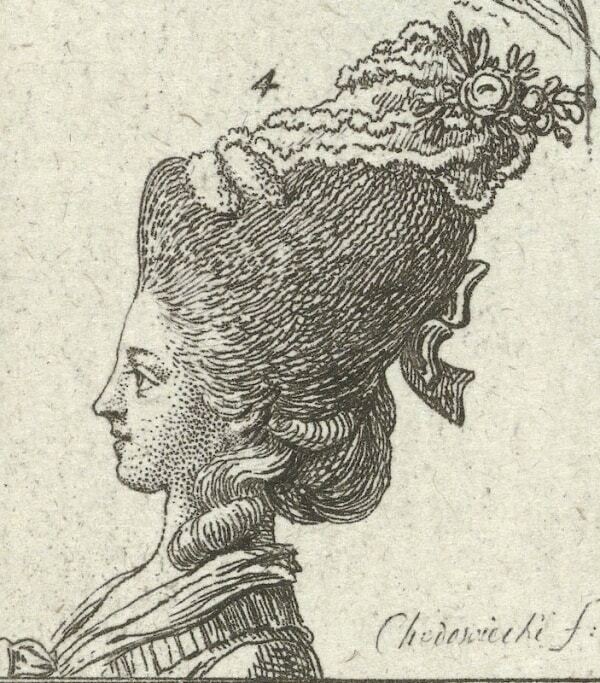 There wasn’t much in the way of hats except for these, which were so good I had to screencap. FLOOOOF! 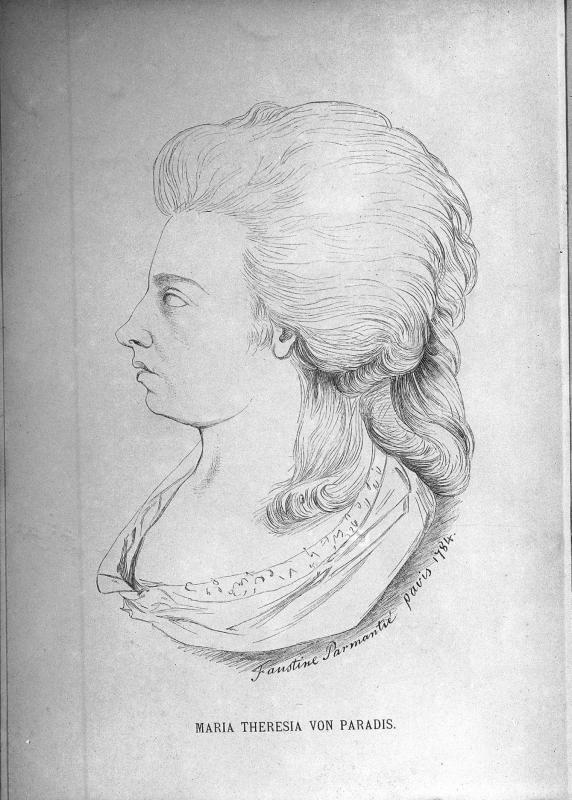 Any thoughts on Mademoiselle Paradis? Why is it you like the missing stays in that one outfit? I’m more familiar with corset-less complaints here. Oh, because she was specifically asked by Mesmer to dress simply, so it made sense within the plot. Sorry, I didn’t explain that well! 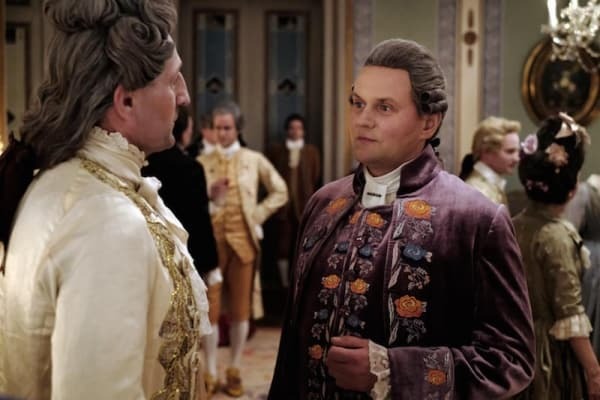 I saw this film and think that for a German language film the costumes are quiet good (there is many bad stuff in Television for a decade). Most importantly no stupid looking aristocrats. What I didn’t like is that many suits don’t fit the actors, which should be from the high Society and would not wear second hand clothing. 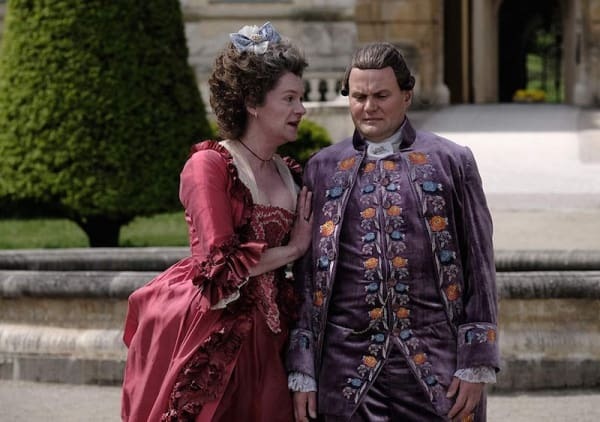 What I really dislike are all those completely wrong waistcoats like these on Monsieur Paradis. Should they be long or shout they be short? I have the Impression that the designer didn’t know. The length would be OK, if there would be some laps. If I remember it right some working class clothes were just completely wrong. Although the costumes are not really good, the film is good because most actors did remarkably well. 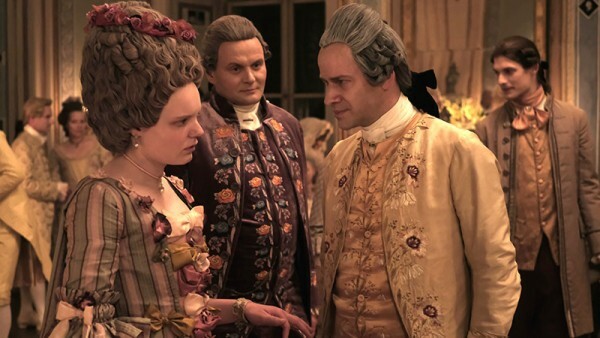 I wonder that you didn’t mentioned the 2 parts TV-film “Maria Theresia” which had run on arte. Many stuff to discuss about. 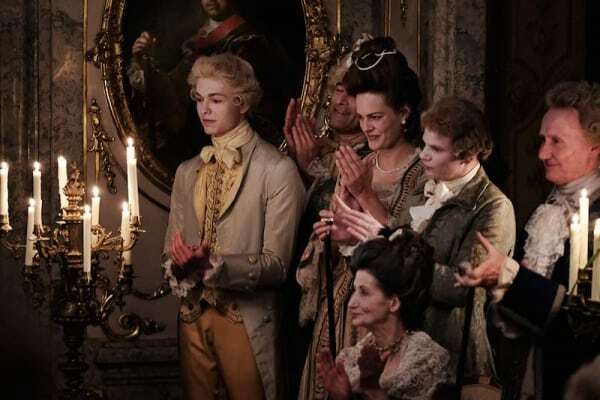 Although I think that there is much wrong there, at last the actresses are wearing corsets and Marie-Luise Stockinger did a good Job – although she is maybe looking too beautiful for the historical queen.